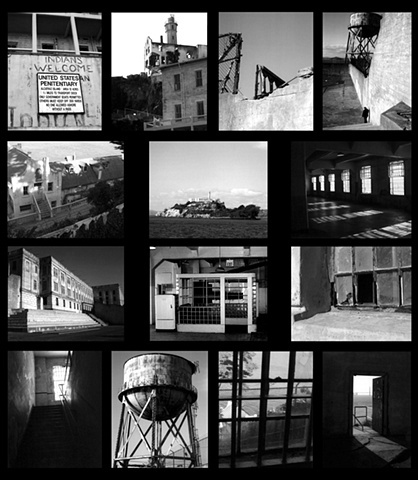 HEDWIG M. HEERSCHOP - FINE ART PHOTOGRAPHY & PRINTMAKING - Alcatraz Island San Francisco Bay, California. Alcatraz Island once a prison, but no longer. The buildings are mostly in ruingothic lookinga place perfect for the photographer. Now a State and National park with a museum and shop. A true tourist attraction, a fascinating historic site, definitely a place to explore and wander around, not only for its historic value, but also for the ever changing weather patterns which creates a beautiful display of lights and shadows.